Tomorrow morning I will officially announce as a candidate in the Republican Primary for the U.S. Senate seat now held by Deb Fischer, because she is making no effort to reduce our national debt which is badly out of control. So I will be making a transition from blogger to candidate . My posts will become shorter as I spend more time on campaign activities. Today take a look at a WSJ article comparing outlays for defense, non-defense and net interest payments on our debt. It shows how interest payments on our debt are likely to exceed spending on all discretionary non-defense programs by 2022. Conclusion. This is a dire warning of how our spending priorities will become highly distorted if we are unable to shrink our debt. 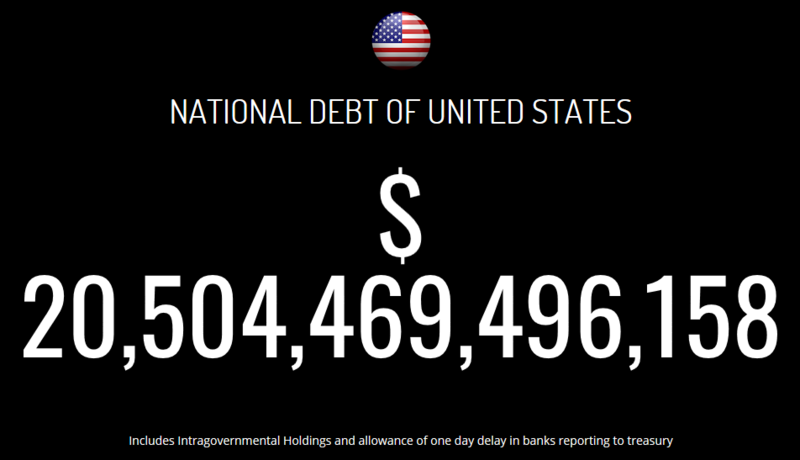 “This may sound overly dramatic but if we ignore the debt much longer, it will endanger the future of our country. This is exactly what the new tax law does, in spite of its otherwise good features, by increasing the debt by $1 trillion over the next decade. And 51 Republican Senators voted for this new law, including Nebraska’s Deb Fischer who is running for reelection this year. I am running for her seat to challenge her about our ballooning debt because she is doing nothing about it and has just voted to make it worse! First of all, the chart below shows why our debt situation is so serious. It now sits at 77% of GDP (for the public part on which we pay interest), the highest since WWII, and is predicted by the Congressional Budget Office to keep getting steadily worse, hitting almost 100% of GDP by 2027. Right now interest rates are so low, less than 2%, that our debt is almost “free” money. But this cannot and will not last much longer. Inflation has already started to increase and the Federal Reserve has started to raise interest rates. Rising interest rates mean much higher interest payments on our debt. This will put an enormous strain on the federal budget, choking off spending for many of the things such as education, scientific and medical research, infrastructure and social programs which so enhance our quality of life. And furthermore, these much higher interest payments on the debt will continue, and even grow worse, indefinitely into the future, placing a huge burden on future generations, our children and grandchildren. The solution is to shrink our annual deficits ($668 billion in FY2017 and likely over $700 billion for 2018) down to a much more manageable level so that our debt will also shrink as a percentage of GDP. I emphasize that this can be done in a sensible, non-disruptive way by simply curtailing spending increases in most government programs without actual budget cuts, and thereby reducing our huge annual deficits over a period of several years. The Affordable Care Act expands access to healthcare (which is good!) but does nothing to control cost (which is bad!). American healthcare needs major changes. One way to do this is to abolish the employer mandate and migrate from employer provided health insurance to personal insurance with age-based, instead of income based, tax credits. Medicaid can move to the same age-based (refundable) tax credit system. Also fix Medicare by making Medical Savings Accounts readily available for Medicare Advantage plans and then encouraging migration from regular Medicare to Medicare Advantage. Such major changes as I have proposed above likely will be considered controversial. However, which is better, to implement major changes in a rational, careful manner while there is time or rather to wait for a new fiscal crisis, much worse than the Financial Crisis of 2008, which will inevitably occur down the road if we continue to ignore the debt? All 52 Republican Senators voted for the new tax law which, in spite of its beneficial tax reforms, adds $1 trillion to our debt over the next decade (after growth is taken into account). The Congressional Budget Office projects our debt to grow by $11.5 over the next ten years. 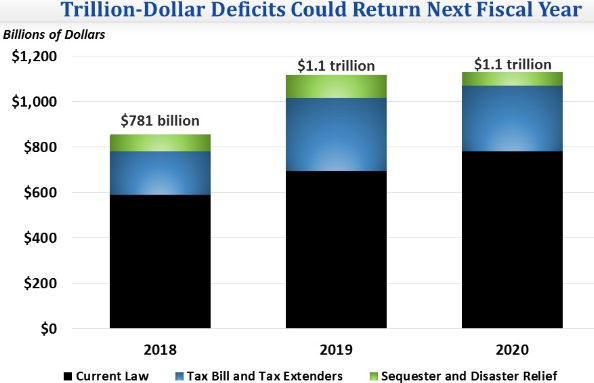 In FY2019, just one year from now, CBO projects the deficit will exceed will exceed $1 trillion and equal 4.7% of GDP. By 2047 federal debt will reach 150% of GDP, almost double the current 77%. In our polarized Congress, Republicans insist on increasing defense spending, Democrats insist on increasing domestic spending and trying to put any limits on entitlement spending is very difficult. Republicans are willing to cut taxes but there is little enthusiasm for raising them. The present stalemate will eventually lead to a new fiscal crisis, much worse than the Financial Crisis of 2008, without major changes in current policy. The thought of having to drastically cut many different spending programs in the middle of a huge fiscal crisis is horrifying. Are there any alternatives? Calling a Constitutional Convention for balancing the budget, establishing term limits and/or limiting Congressional power (Convention of States), have created much interest but are long shots which may never happen. Conclusion. Somehow or other we need to light a fire under enough members of Congress to persuade them to take our rapidly accumulating debt very seriously. Let me know (jackheidel@yahoo.com) if you are willing to work with me to do something along these lines! Why Am I So Fixated on Our Debt Problem? In a few days I expect to announce my candidacy for the Republican nomination for the U.S. Senate seat now held by Deb Fischer. She is running for reelection and apparently is quite popular in Nebraska. But she has one huge liability as far as I’m concerned. First of all, she is a big spender. But now as well she has just voted for the new tax law which will increase our debt by $1 trillion over the next decade. In other words she is flagrantly guilty of ignoring our very serious debt problem even as it continues to get worse. People sometimes ask me why I am so fixated on the debt. After all, there are plenty of other important issues that we should be concerned about. The answer is that uncontrolled debt affects almost everything else government does because as interest rates increase, eventually interest payments on the debt will skyrocket. Defense spending, so critical to our role as the world’s major superpower, which maintains peace and stability in the world, will be threatened. Run-away inflation is likely to result from the buildup of the debt bubble and this will erode the economic security which is so important to our way of life. The international standing of the dollar, so critical to our leadership role in the financial world, will be weakened. Spending for programs such as education, research and infrastructure, so important to our quality of life, will be threatened. By focusing so strongly on the debt issue, hopefully I will be able to persuade large numbers of people that I am really serious about taking strong action to address it effectively. Conclusion. There are lots of issues which will come up on the campaign trail in a Senate race. But my campaign will be focused on our gigantic debt problem. If we can’t get our debt under control, then our entire way of life is threatened. It is that simple. As the readers of this blog know very well, I am so upset about our rapidly increasing national debt that I am preparing (in just a few days) to enter the 2018 Nebraska Republican Primary for U.S. Senate against the incumbent Deb Fischer because she just voted (with the new tax law) to increase our debt by $1 trillion over the next decade. Of course, so did all of the other 52 Republican Senators as well but she is up for reelection this year and I live in her state. 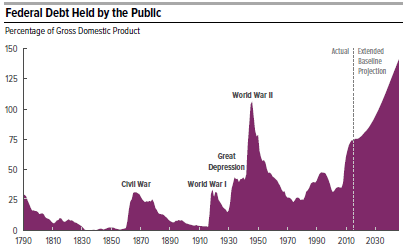 With the public debt (on which we pay interest) at 77% the highest it has been since WWII, the U.S. already has a compromised debt position. Basic principles of public finance suggest that when the economy is humming along (like now at 3% annual growth) and when unemployment is low (like now at 4.1%), one should try to reduce the public debt. By having used up our fiscal space in good times, we run the risk of not having room to increase budget deficits in bad times. 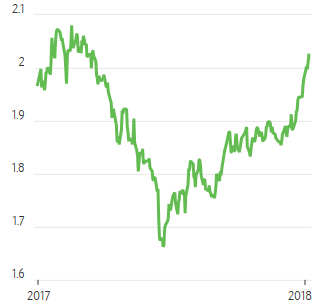 The very low interest rates today (an artificial product of the Federal Reserve’s extraordinarily easy monetary policy over the past 8 years) are unlikely to last much longer and, in fact, the Fed has already started the process of raising interest rates, as inflation begins to heat up (see chart below). Increased budget deficits make us increasingly reliant on foreign financing. By our own sowing in joy with unfunded tax cuts, our children are likely to reap in sorrow the fruits of lower long-run economic growth. Conclusion. By raising our debt by $1 trillion, the new Republican tax law is appallingly short-sited policy. I hope to make Senator Fischer pay a political price by her bad judgment in voting for it. As the readers of this blog know well, the two main topics I discuss are: 1) our massive debt, now 77% of GDP (for the public part on which we pay interest), the highest it has been since WWII, and predicted by CBO to get much worse without major changes in current policy, and 2) slow economic growth, averaging just 2% of GDP annually ever since the end of the Great Recession in June 2009. Naturally I am always interested to relate the views of others to my own. In the current issue of Time, Mr. Buffett makes the simple argument that, with .8% growth in population each year (births minus deaths plus immigration), 2% GDP growth overall leads to 1.2% annual growth of GDP per capita. This means that in just 25 years, or one generation, our current $59,000 GDP per capita will increase to $79,000 GDP per capita. This is very impressive. The problem, of course, is that the average GDP per capita is not evenly distributed. Democratic. 2% growth is creating plenty of GDP per capita. It just needs to be distributed more evenly by raising taxes on the wealthy and spending it on more generous welfare programs for the less fortunate. Republican. We can do better than 2% annual growth. If growth could be increased to 3% per year or maybe even just 2.5%, then the labor market will stay tight and produce more jobs and better paying jobs. Everyone will prosper, not just the well-off. Conclusion. 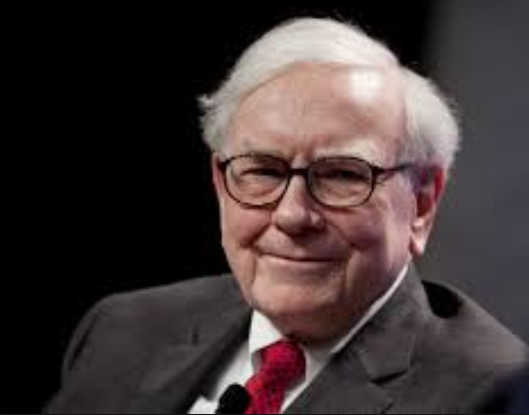 I greatly admire Warren Buffett. He is right about many things. But I think we can do better than 2% annual growth.